Facilities Management (FM) Grounds and Landscaping invites The University of New Mexico community to participate in activities commemorating Earth Day and National Arbor Day. 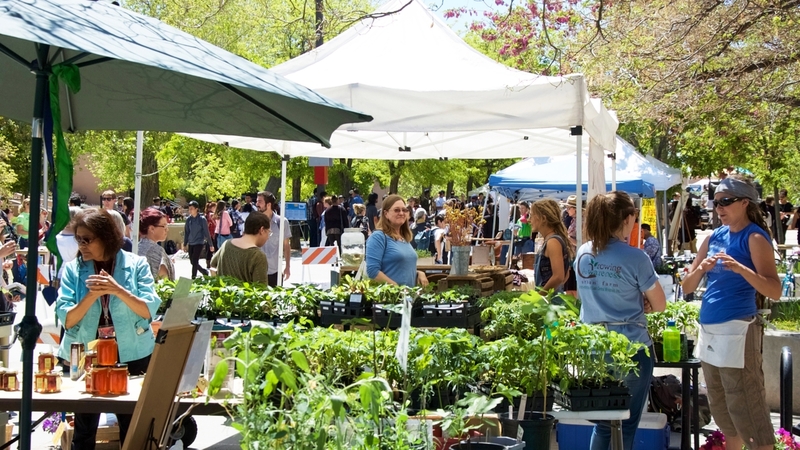 On Thursday, April 18, FM will have a table at the Sustainability Expo on the Cornell Mall from 10:30 a.m. to 2:30 p.m. Certified staff arborists will be available to answer questions and provide tree-related handouts and information to the public. The week of April 22–26, FM Grounds and Landscaping will be planting a variety trees at several locations around campus. Extra shovels will be on hand for those who wish to participate in the planting, and arborists will discuss the species of trees being added to the campus landscape. 10 a.m. – Tight Grove, planting a Valley Cottonwood. Noon – Hodgin Hall, planting an Espresso Kentucky Coffee. 10 a.m. – Scholes Hall, planting a Lavelle Hawthorn. Noon – Anthropology, planting a Greenspire Linden. 10 a.m. – Novitski Hall, planting a Common Hackberry. Noon – Innovation, Discovery and Training Complex (IDTC), planting a Washington Hawthorn. 10 a.m. to Noon – College of Education, planning three Greenspire Lindens. 10 a.m. – Santa Clara Hall, planting a Yellow Delicious Apple. 1 p.m. – Laguna Hall, planting a Red Delicious Apple. In 1994, The University of New Mexico campus was designated an arboretum and is home to over 5,000 trees, representing over 200 separate species.